Retinitis Pigmentosa includes a group of inherited, progressive retinal dystrophies, characterized by rod- and cone-photoreceptor degeneration and progressive loss of vision. A loss in visual field - as results from retinitis pigmentosa - leads to many deficits including reading ability. As the disease progresses, reading takes longer and is accomplished with an increased number of pauses. Compensatory actions - like hand movements to centre the characters being read in the visual field or head movements to extend the reading distance - become required. 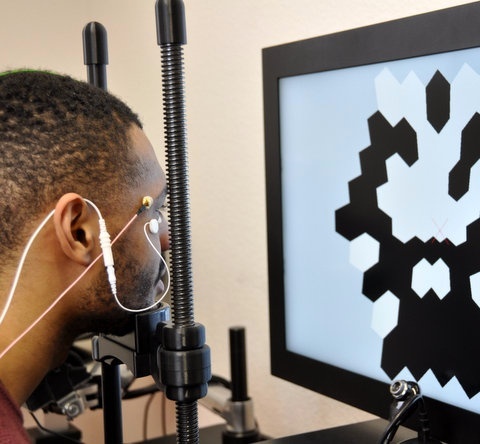 A reducing visual field also causes a change in contrast sensitivity - the ability to distinguish between shades of gray - that influences one’s visual-perceptual state and affects daily visual functioning, lifestyle and social development. There is no question that advanced vision loss negatively affects patients’ social and personal welfare. Retinitis pigmentosa can be diagnosed during a routine eye examination if there are abnormal, dark, pigment deposits in the retina, along with progressive complaints related to night blindness and peripheral visual-field defects. • Genetic Subtyping to confirm the presence of the particular gene-defects responsible for the development of retinitis pigmentosa. With the help of genetic testing, a patient can learn about the possibility of transferring any defective genes to future family generations. 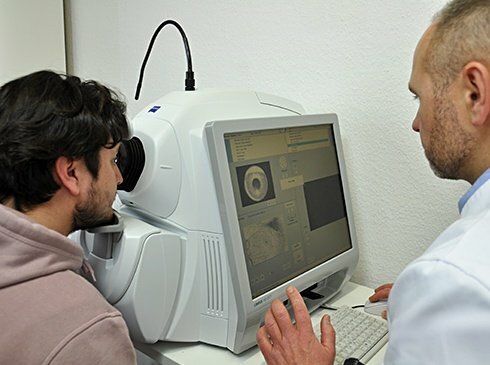 Since 1995, we have treated more than 400 patients with retinitis pigmentosa using Fedorov Restoration Therapy, and while we do not claim to make a patient’s retina healthy again, we do expect to see measurable improvements in a person’s vision. Fedorov Therapy also prevents further deterioration of the retina - the visual cortex is activated to stimulate the retina, supporting the functionality of retinal neurons. A significant body of evidence shows that electrical therapy causes the release of endogenous growth factors (e.g., brain-derived neurotrophic factor, ciliary neurotrophic factor) that protect against retinal degeneration. Retinitis Pigmentosa. We can help. With retinitis pigmentosa, the extent of vision improvements possible will depend on many factors including the severity of retinal dystrophy, the remaining size of visual areas, the age of the lesion, and the presence of any structural complications of the retina. 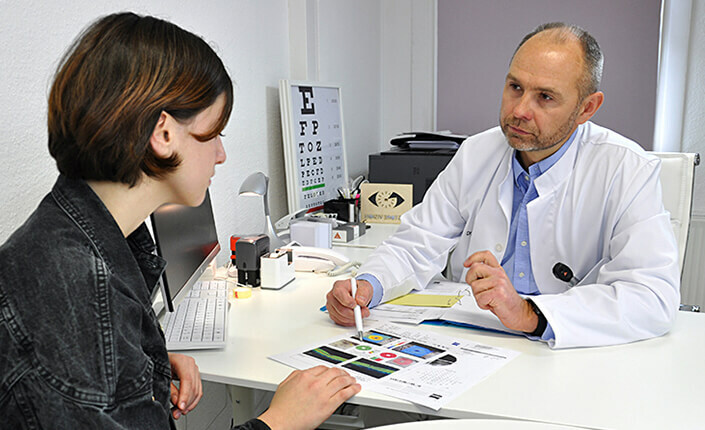 We take each of these into account when reviewing your medical records, and will discuss with you in advance of treatment the range of improvements to your vision that can be expected. In our experience, even patients with very limited vision or with disease-related complications have responded positively to Fedorov Restoration Therapy. We have also shown that most of the effects of our treatment are stable over time and, in many cases, repeat courses of treatment can lead to a more significant improvement in sight. Further loss of vision resulting from a steady progression of the disease can be avoided or significantly slowed. An enlarged field of vision (up to two times) can be expected to last for 12 to 24 months, after which repeated treatments can be beneficial. More than half those treated showed improved vision in the dark and a reduction in vision haziness. I was diagnosed with retinitis pigmentosa at a very early age. By sheer luck, I found Fedorov Restore Vision Clinic and received treatment there. Dr. Fedorov and Dr. Chibisova are fantastic. I was so impressed with my results from June 2017 that I returned this May 2018 and again am thrilled with my results. I cannot thank them enough for the vision they have given back to me. I highly recommend this clinic to anyone suffering from retinitis pigmentosa. My message is: 'Do not wait.' They've given me more than just vision. They've given me hope. I was born in Shandong, China, and was diagnosed with retinitis pigmentosa. More dramatic changes with my sight took place in early 2016, when my vision suddenly got much worse. Because of Fedorov Restore Vision Clinic in Berlin I can now live like a normal person. I manage to go everywhere, even at night. According to my experience as a patient of the Restore Vision Clinic, I would recommend this treatment to each retinitis pigmentosa patient. I was diagnosed with retinitis pigmentosa in 2015. Doctors in Norway told me that there was no solution that could help treat RP or even stop the progression of my disease. During the course of receiving Fedorov Therapy in Berlin, I realized positive changes. After returning to Norway, I found out that the results were great. My vision in daylight improved very much. Dr. Fedorov and his team are very professional and took great care with my case before, during and even after the treatment had been completed. A few months later, doctors in Norway did follow-up visual field tests, and the results showed a stable improvement. Fedorov Therapy is based on a relatively new technology developed in the 1990s and used clinically since 1991. Repeated transorbital alternating current stimulation (rtACS) doesn’t require an operation or the implantation of electrodes in the eye. Fedorov Therapy isn’t aimed at the replacement of damaged cells, but instead is focused on increasing the usefulness of preserved neurons on the retina and on the improvement of conductivity along the optic nerve. Research has shown that, if such stimulation is performed over a period of several weeks, there’s significant activation of the visual system at all levels and throughout the brain. This new, functional state of the visual system is referred to as “ induced plasticity.” Such plasticity is strongly needed to restore sight when there’s deterioration as a result of optic-nerve damage. I have advanced retinal cell damage. Is there any chance my vision will improve with therapy? The results of Fedorov Restoration Therapy depend on many individual factors. Advanced retinal cell-damage requires several courses of Fedorov Therapy in combination with visual training to produce improvement. More than half of our patients have advanced damage, and, with our collective experience, we’ve been able to help them. Severe structural damage limits the possibility of significant improvement, but doesn't exclude it. After your request, we’ll provide you with the list of medical records that we need to review your case. How do you assess whether Fedorov Therapy will help improve my vision? Does the Fedorov Electrical Stimulation Therapy improve quality of life? Sara Papp, my friend's 19 year old daughter, just had a 2-week treatment at the Restore Vision Clinic in Berlin this June with results that were encouraging. She has retinitis pigmentosa and only 11 percent vision which means her night vision outdoors included only bright lights and nothing else, no peripheral vision and she could not see colours. At the completion of the 2-week treatment her peripheral vision returned at a distance of about 1 meter and she could see facial expressions. The whole team of the clinic was very professional and friendly. We are all grateful with an encouraging result in her vision thus making this a wonderful experience. 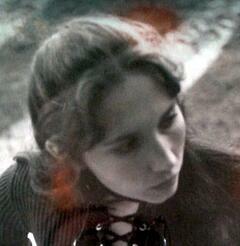 We wholeheartedly thank you all for the wonderful work that you did for Sara.